This is Bertie’s first visit to Woking but his fame and membership of the Inner Magic Circle fills us with anticipation! Mr Punch is the most famous puppet character of all time. His comic irreverence gave “Punch” magazine its title. His anarchic vitality has inspired opera, ballet and punk rock and his enduring popularity has seen his likeness on goods ranging from Victorian silverware to computer video games. Appearing in England in 1662, Punch is descended from the Italian Clown Pulcinella of the 15th Century Commedia Dell’Arte tradition . Linda has visited us on two previous occasions including her outstanding lecture on the Pre-Raphaelites given with only one day’s notice. 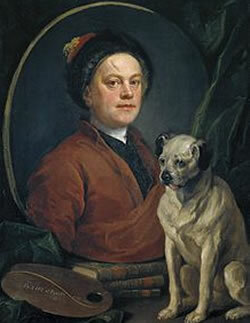 This talk tracks Hogarth’s career from humble copper-plate engraver to successful painter, showing a wide variety of images which demonstrate his exceptional originality and inventiveness. Above all, it is his unparalleled eye for absurdity and human weakness which not only tells us so much about his own times, but gives us food for thought about our own. Douglas has lectured to us six times and has been voted outstanding on every occasion. This lecture explores how from the early sixties, when David Hockney left the Royal College of Art he was more famous than his teachers. 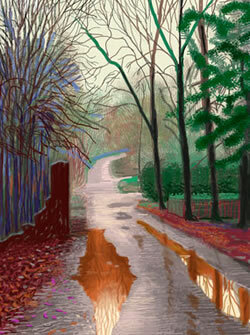 Hockney's paintings have shown a charm and humour that sets them apart from others of his generation. A naturally gifted draftsman, this lecture follows the career of an artist whose wit and use of ingenious visual devices has led him to experiment with a whole range of techniques, from stage design to coloured paper making. From his early career he has never faltered. We meet Dr Bartlett for the first time. She holds a doctorate from Oxford University. She specialises in the comparative study of art, music and literature and is the author of several books including biographies of Tolstoy and Chekov. 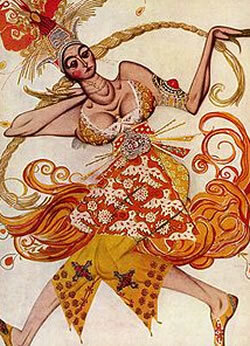 A hundred years ago, Diaghilev decided it was time to showcase Russian culture to the world. He feared it was about to be swept away (as indeed happened with the 1917 Revolution), and fervently believed it had something unique to offer. Russian ballet was at its prime, with Nijinsky and Pavlova amongst its greatest stars. The Ballets Russes contributed prominently to the “Russian Renaissance” at the beginning of the 20th century, and this lecture is a celebration of the magic, creative energy and passion which lay at their heart. This will be Matthew’s third visit to us. He has had excellent reviews and has a great rapport with the audience. The enormous success of the Television series “Downton Abbey” has made its location, Highclere Castle in Berkshire, one of the most recognisable buildings in the country. This lecture reveals that truth is more interesting than fiction and tells the story of the castle and its family, the Earls of Carnarvon. A Victorian architectural masterpiece, Highclere has fascinating associations with the Houses of Parliament, ancient Egypt and the world of Royal horse racing. 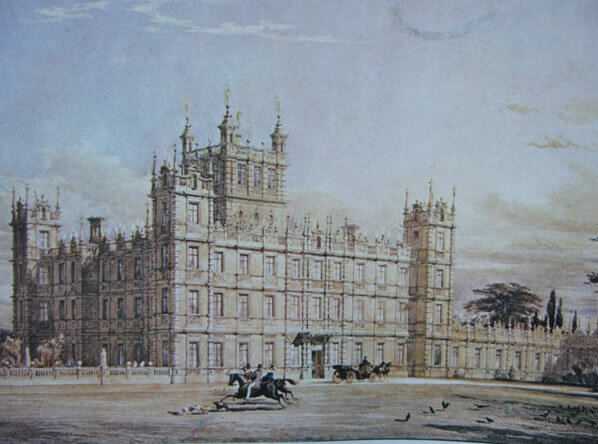 The’ Downton Abbey effect’ has not only brought the past alive for millions of admirers but has brought benefits to Highclere. Dr Way is new to Woking. She is a garden historian, author researcher and lecturer. She carries out freelance research in the history of specific gardens for English Heritage and the National Trust. 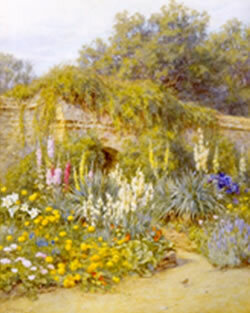 This lecture celebrates the Edwardian garden in words and pictures and examines the coming together of the worlds of artist, architect and gardener, to create the quintessential English Garden From Robinson and Jekyll to Lutyens and Peto via Parsons and Elgood: painters creating gardens, architects dictating planting, and gardens portrayed in paintings: An era summed up by its gardens. Peter has lectured extensively and is coming to Woking for the first time to celebrate the bicentenary of the battle of Waterloo. He is an author, historian and authority on Nelson. This special lecture offers an artistic and cultural appreciation of the battle that was a defining moment in European history. 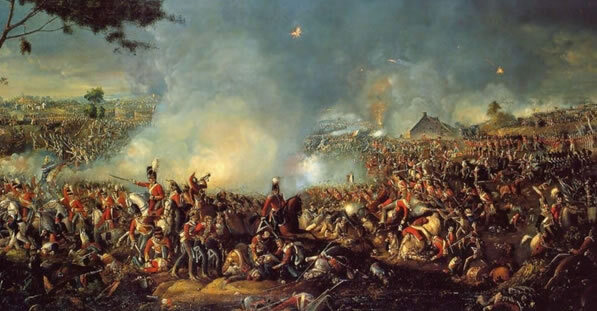 It shows how artists have interpreted Waterloo and so influenced our understanding of what actually happened on 18th June 1815. The paintings, drawings and caricatures are the language of the age and are often so powerful they alone have influenced our perceptions of the battle and its subsequent interpretation. We see today what the artist wanted us to see. How true to history are their impressions? Anton is a former Director and Head of European Ceramics at Christie’s and Antiques Roadshow Broadcaster. His last visit to us was in 2006 and was excellent. This lecture explores the complicated development of ‘blue and white’ porcelain. From 14th century China via the short-lived experiments in the late 16th century under the Medici in Florence and the discovery of hard paste porcelain at Meissen in the early 18th century, decoration in underglaze blue cobalt has been a major part of the output of most factories across Europe to the present day. 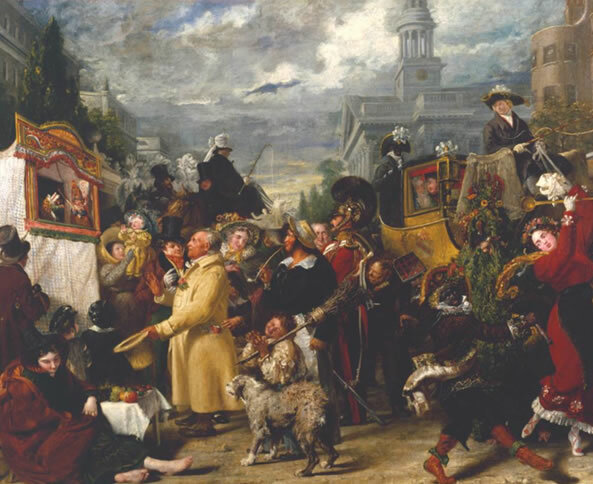 He will discuss the development of this technique chronologically in both Continental Europe and England thereby emphasising the regional differences and nuances of style adopted at various factories when it ultimately became used to decorate their more ordinary wares to attract a broader market. Dr Faulkner last visited Bisley in 2005 when his lecture was outstanding. He works as a lecturer, writer, archaeologist and broadcaster and is co- director of The Great Arab Revolt Project. He informed me there will be a BBC programme about Lawrence in 2015/16 discussing the new facts which have emerged as a result of his team’s archaeological research. 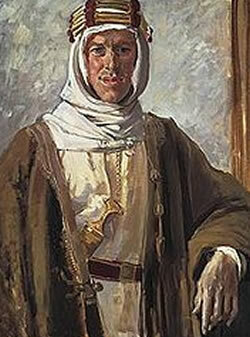 Lawrence of Arabia was one of the greatest celebrities of the 20th century. He was also one of its most controversial figures – for some, a real-life hero and brilliant guerrilla commander, for others, a self-promoting charlatan. Where does the truth lie? This is Pamela’s first visit to Woking. She is President of The Arts Society Bristol. This lecture is specially packaged for the festive season, she will unwrap some of the many layers of history, custom and myth that make up Christmas: the nativity, decking the halls, cards, food, presents and much more. The lecture is beautifully illustrated by well known paintings and lesser known extraordinary works. 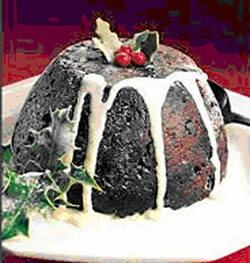 Poetry and prose abound – including words written by the speaker to bring joy, pathos and humour.